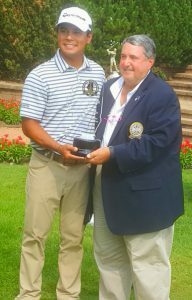 Illinois PGA president Jim Opp presents Illinois Open trophy to Carlos Sainz Jr. Golf has been played in the Chicago area for 124 years, and – as far as local players go — there’s never been a two-week stretch quite like the one that ended with a rousing Illinois Open victory by Elgin’s Carlos Sainz Jr. on Wednesday. 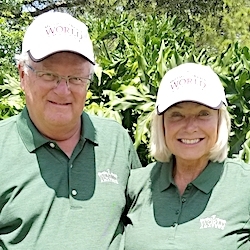 Those two weeks — in tournaments played on three courses in St. Charles that are only a few miles apart – produced record victories in both the Illinois State Amateur and Illinois Open. Those events are the biggest events annually for local players. The epic two weeks started with Nick Hardy, a University of Illinois junior-to-be from Northbrook, devouring the field in the Illinois State Amateur with a 28-under-par performance over 72 holes at St. Charles Country Club. The State Am has been played for 86 years and Hardy’s 260 score for 72 holes erased a record that had stood for 46 years and his relation to par score eliminated a record that had been standing for 32 years. Hardy was only part of the supporting cast on Wednesday, however. He hung on for low amateur status in the Illinois Open, edging playing partner Branden Mounce of El Paso and Kevin Flack of Belvidere by one stroke. The Open was played on two St. Charles courses, Royal Fox and Royal Hawk, and Hardy was fourth overall. Sainz shot shot 67-65-65, with the last two rounds one off the course record in the eight Illinois Opens played at Royal Fox. Flack and Wheaton’s Tee-K Kelly, runner-up in last week’s Illinois State Amateur, also posted 65s on Wednesday but Sainz was clearly the star of this show. He played like a PGA Tour player — which he was last year and hopes to be again – against the best professionals and amateurs who also reside in Illinois. The tourney had 638 entries and the 156 in the finals were determined after seven state-wide qualifying tournaments. The Illinois Open, which has been played for 67 years, is contested over 54 holes. Sainz was a five-stroke winner over long-hitting Christian Heavens, a mini-tour pro from Fairview Heights near St. Louis. Like Hardy the week before, Sainz rewrote the tournament record books with his 17-under-par 197 performance. The records he erased weren’t as longstanding as those made irrelevant by Hardy. Bolingbrook’s David Cooke set the old records – 15-under 199 for 54 holes over the Royal Melbourne and Hawthorn Woods courses just last year. “This was big – something I’ve wanted to win as a pro the last four-five years and almost did the last time I played it,’’ said Sainz, who was also low amateur in the tournament before turning pro. Sainz was on a role in 2013. He won for the first time on the Canadian PGA Tour, flew to Chicago that night and three days later made it into a playoff in the Illinois Open that was eventually won by Antioch’s Joe Kinney. Sainz was exhausted after seven straight days of pressure-packed tournament golf but returned a few weeks later to win the now defunct Chicago Open. The momentum gained from those tournaments helped Sainz get playing privileges on the PGA Tour in 2015 but he didn’t earn enough money to keep his tour card. He hopes to get it back, and Wednesday’s win was a step in the right direction. He’ll rejoin the Canadian circuit – now called the Mackenzie Tour – next week in preparation to another crack at the PGA’s fall qualifying school. He has shown signs of doing that. He was 20-something under par in a similarly handy win in South Florida last winter. He had this Illinois Open in hand from the get-go after owning a four-shot lead to start the final round. That lead grew to as many as six strokes as he made birdies on four of the first six holes and then coasted in. 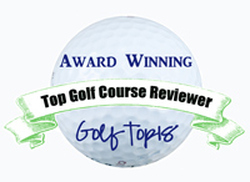 The highlight of his final round were 25-foot birdie putts at the third and 16th holes. “I felt great all day and controlled my emotions well,’’ said Sainz, who picked up $17,500 for his victory.